When implants are not possible due to medical reasons, anatomical limitations, loss of bone, cost factor etc. then patients can opt for bridges and partial/fixed dentures. With advancement in technology, patients can choose between a variety of crowns right from NiCr, Ni Free (CoCr) cast alloy crowns with Ceramic/Porcelain(PFM's), Gold, to CAD CAM-based Zirconium crowns. For patients seeking removable teeth, self-cure acrylic interim dentures, heat cure dentures, cast partial dentures and the new age flexible dentures 'VALPLAST' are available. Implantology is an integral part of Prosthodontics, and tooth and implant supported bridges have increased the possibilities of multiply fixed tooth replacement. Implant supported complete dentures are becoming very popular now especially for patients finding their dentures loose. Very frequently patients just need to reline/ rebase their loose fitting dentures. Patients can get soft relining done to their dentures if the dentures constantly hurt their soft tissue. 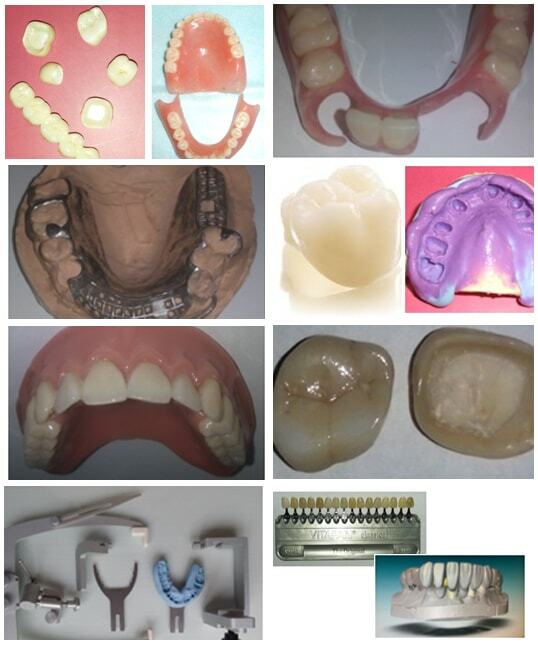 Many times, especially when esthetics is a concern or in totally edentulous cases, wax trials, mock-ups, acrylic temporaries are done before finalizing the prosthesis. Immediate/ Instant overdentures are available for chairside quick replacement of teeth! Being the top prosthodontist in Pune, we have adopted the best and latest impression materials and techniques.